Ok so first things first lets just address something.. I could not be more grateful and lucky for the direction my life is heading in right now.. Its so refreshing to know hard work, time and effort pays off for something and you can get recognition and amazing companies coming to you and asking for your opinion on their products and treatments! 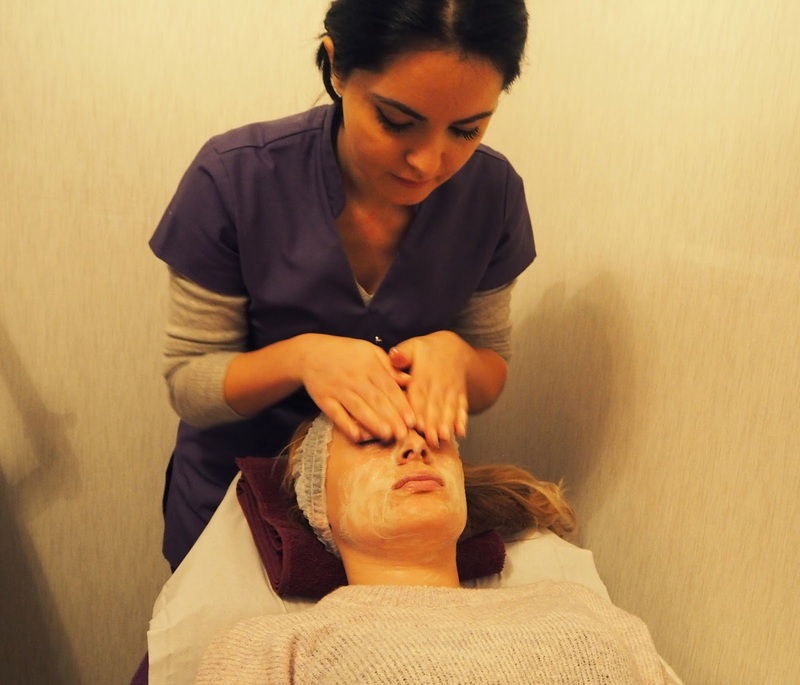 I got approached very recently by the lovely Nevila from Advanced Beauty Tech, a little beauty spa situated in Sheffield, South Yorkshire - She offered me the opportunity to experience some treatments which are few and far between in this area and extremely effective. 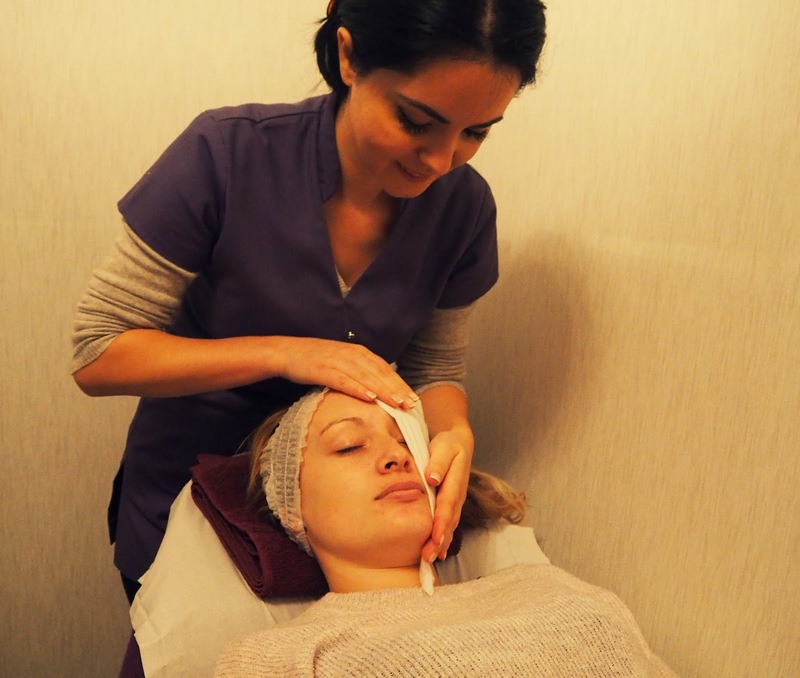 The aim of Advanced Beauty Tech is basically to provide treatments which are beneficial to the skin and body using advanced technology which is completely non invasive but also show incredible results. Being in the beauty salon meant I had the opportunity to learn lots about the technology they used and also find out how they benefit the skin in so many different ways! If you all know me, or have even been a religious follower of my social media or blog you'll know I have constant issues with my skin. Its constantly oily, and I also have extremely bad eczema so therefore at times is particularly dry and sore. I needed something which would show me results and couldnt wait to see what these treatments would do for my incredibly difficult to manage skin. Firstly the lovely Nevila treat me to an amazing facial with some incredible products! She cleansed all my make up off (several times - because I wear a lot and it gets very clogged in your pores). She also toned my skin etc.. and it was super relaxing. I didn't even realise I was going to be receiving a facial like this on the day, so it was a lovely surprise! Also, Im going to be completely honest and tell you all .. I've never had a facial prior to this so I was a little bit blind to it all, but let me tell you now.. I will be becoming a regular facial go-er! I would also like to add at this point how incredibly welcoming Nevila and her Mum were to me in the spa, I've never felt so spoilt before.. They both were so attentive and I really couldn't believe how lovely and relaxed and easy to talk to they both were!! So thank you both very much for relaxing me so much more with your lovely welcoming personalities!! 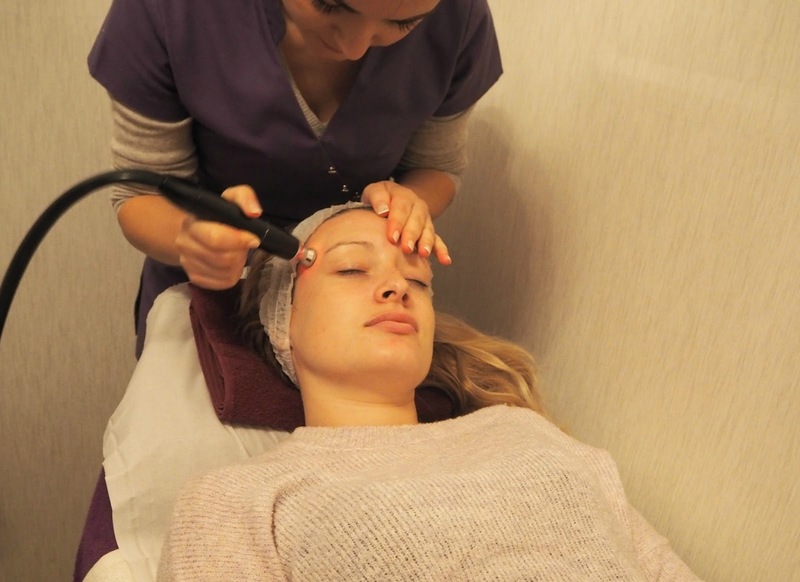 Next I was treat to a Microdermabrasion treatment, which prior to the appointment I was not expecting to receive, so this was great to experience! I had not read up on this so obviously I asked a few questions "Would it hurt?" "What does it involve?" and Nevila was fantastic at answering all of my questions, and any small anxieties that I had about the treatment definitely vanished. To start off the larger head was used to do the places of my face with larger surface area, and then the smaller head was used for places of more detail such as my nose and chin etc. The sensation was odd, but completely fine and almost like a little sucker fish sucking on your face ha! Its effectively an intense exfoliation. My skin literally felt incredible even straight after and I couldn't believe the skin on my face even belonged to me anymore ha! This Treatment would be fantastic for any of you who are looking for some intense skincare which works wonders on your clogged pores etc. I definitely have an issue with this and its simply because my skin is SO oily.. but this has definitely helped! I would definitely recommend you give it a go if you are like me and have tried everything else product wise and wanting to explore what else there is out there which can help your skin improve!! Next I went for a treatment I knew all about, LED Phototherapy. This is effectively a therapy designed for a variety of different skin types and is basically intense light therapy which individually targets problem areas of your skin. Due to the nature of my skin I originally decided to go for the blue light as this is the effect which targets acne prone and oily skin, but when I spoke with Nevila she actually offered me the yellow one and stated that this one would be fantastic to bring a natural glow to my skin. There was also other colours such as green for pigmentation and red for anti - aging. I was told by Nevila that the treatment would take up to 3 days to show its full effects, and that my skin may be a little sensitive for the day so I needed to take good care and avoid hot baths and direct sunlight. Prior to the lights being applied, Some gel infused with lavender oil was applied which SMELT INCREDIBLE and protective eye pads due to the brightness of the lights. The lights were then applied and they were extremely bright to start with but caused me absolutely no discomfort and were fine!! The results were amazing. I'm very happy with the way my skin has turned out. It feels lovely and nourished and very clear at the moment (which believe me, is very unlike my usual skin). I would definitely recommend this if you have problem skin in any way!! Following my facial treatments I was then taken through to a super relaxing and tranquil room for my massage. I opted for the back neck and shoulder massage due to the nature of the aches and pains I get being in my back (due to my job). There was photographs of this to include but I figured they may be slightly innapproriate and a back is a back right? A lovely lady named Yasmin did my massage and she made me feel very at ease and relaxed and she really focussed on the tension in my shoulders which was apparently horrendous. Also, I was offered some infared therapy prior to commencing which is beneficial for pain and it relaxes the muscles before the massage. It was lovelyyyy and warm and I love heat, so this was ideal for me! Firstly I'd like to say to you all .. you NEED to check these guys out.. this is a revolutionary new beauty spa and honestly if you've tried everything else for your skin, then this may be the thing you need!! Its pretty incredible that we now have technology like this, and we should acknowledge it. The prices at Advanced Beauty Tech are very reasonable, the atmosphere is very homely and relaxing, and the staff are so welcoming and lovely!! I honestly could not recommend it enough, even if you are living in the south yorkshire area.. its worth a look! (The website will be below). Secondly I'd like to say A HUGE THANKYOU to the girls at Advanced beauty tech, you made me feel very welcome and relaxed which is exactly what I wanted and needed. I wish you guys so much success, as I can see your passion and know how hard you work!! Thanks so much for having me and making my skin feel so incredibly amazing! !